This topic describes device pool configuration. 1 j.u c j'tji 1. Device pools provide a convenient way to define a set of common characteristics that can be assigned to devices, such as IP Phones, instead of assigning individual characteristics to individual phones. Device pools enable you simply assign the phone to the device pool so that the phone automatically inherits the common configuration items. You must configure the device pool for Cisco IP Phones before adding them to the network. 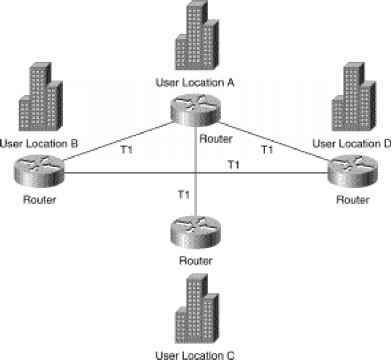 ■ Cisco Survivable Remote Site Telephony (SRST) reference: The SRST Reference field allows you to specify the IP address of the Cisco SRST router. Cisco SRST enables routers to provide call-handling support for Cisco IP phones when they lose their connection to remote Cisco CallManager installations or when the WAN connection is down. These components (except for the SRST reference) are covered later in this lesson. SRST is covered later in the course. The device pool combines all of the individual configurations that you have created into a single entity. You will eventually assign this entity to individual devices, such as IP Phones. This process will configure these devices with most of the configuration elements that they need to operate efficiently in your IP telephony network. Step 1 Choose System > Device Pool. The Find and List Device Pools window opens. Step 2 Click the Add a New Device Pool link to open the Device Pool Configuration window. Choose, at a minimum, the Cisco CallManager group, date/time group, region, and softkey template. Configuring 100 different Cisco IP Phones to use the Arizona time zone, the English language, and the classical-style music on hold (MOH) option is tedious. Instead, you can create a device pool, named "Arizona," that configures the correct time zone, language, and MOH, and you can make a single assignment of the Arizona device pool to each IP Phone. The configuration table here shows the device characteristics that you can specify for a device pool. You must configure these items before you configure a device pool if you want to choose the items for the device pool. Describes a name for the device pool. Selects a redundancy group for the device pool. This redundancy group can contain a maximum of three redundant Cisco CallManager servers. Assigns the correct time zone to the device. Determines the coder-decoder (codec) selection used by the device, depending on the end location of the call. Defines the type and order of the softkeys that are displayed on the liquid crystal display (LCD) of a Cisco IP Phone. Configures SRST and selects the gateway that will support the device if the connection to the Cisco CallManager is lost. Defines whom an IP Phone is able to call if it auto-registers with the Cisco CallManager. Assigns media resource support to a device for functions such as conferencing, transcoding, or MOH. Selects the audio that Cisco CallManager should play when a user presses the Transfer or Conference button on the Cisco IP Phone. Selects the audio that Cisco CallManager should play when a user presses the Hold button on the Cisco IP Phone. Defines the tones and cadences that the device uses. Defines the language that the device uses. Defines the amount of time that the IP phone monitors its connection to Cisco CallManager before it unregisters from SRST and re-registers to Cisco CallManager. This is to ensure that the link is stable (not "flapping"). The default for the enterprise parameter specifies 120 seconds, which can be modified on a device-pool basis or left at the default value. Note An asterisk (*) Indicates a required field. If you make changes to a device pool, you must reset the devices in that device pool before the changes will take effect. ■ Update the devices to assign them to a different device pool. ■ Delete the devices that are assigned to the device pool that you want to delete. Individual components of a device pool are explored in the following subtopics.